Have tried multiple media players in Ubuntu and found that the sound menu is full of player controls? Well, below I’ll tell how to clean it up by removing unwanted players from the menu. To get started, we need a simple tool called dconf-editor. If you don’t have it on your system, click the link below to bring up Ubuntu Software Center and click the install button. Once you have it installed, open the tool from Unity dash or left launcher. 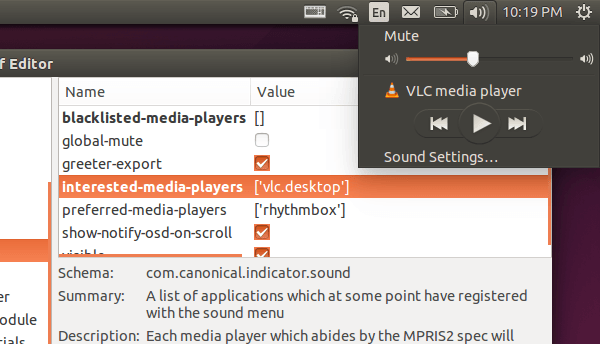 When dconf-editor opens, navigate to com -> canonical -> indicator -> sound. Double click the closed brackets next to ‘interested-media-players’ and remove the names of the players ended with .desktop. 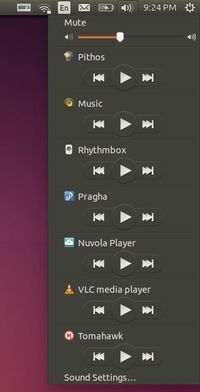 For me, after removing ‘tomahawk.desktop’, ‘pragha.desktop’, ‘gnome-music.desktop’, ‘rhythmbox.desktop’, ‘pithos.desktop’, ‘nuvolaplayer.desktop’, only VLC media player is left under the sound menu. If you later launch a player after you “removed” it, it will be added back to the sound menu automatically. To prevent this happens, add it into blacklisted-media-player. 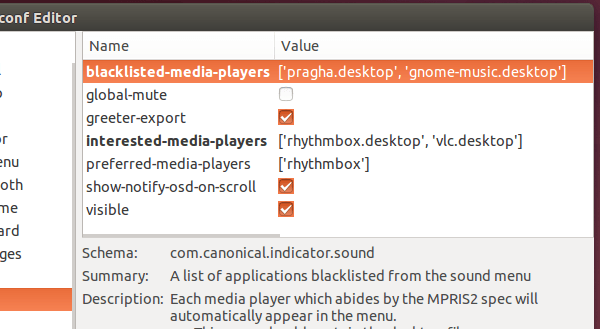 In my case, pragha and gnome music player will be never listed in the sound menu, even you’re listening with one of them.